How to Check if a site (web) is using Unique permissions or inheriting permissions from the parent? 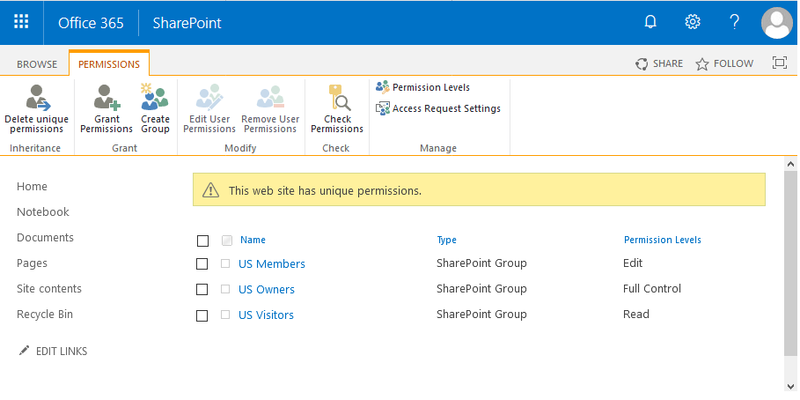 Navigate to the Site and then go to Site Settings >> Site Permissions >>Advanced permissions settings. In Advanced permissions page gives you the information whether the site has unique permissions or not. If the site has unique permissions, you'll get the text "This site has unique permissions", otherwise "This site inherits permissions from its parent." This PowerShell gets you all subsites of a site collection, which are using unique permissions. Write-Host -f Green "Site '$($Web.URL)' has Unique Permissions"
Write-Host -f Yellow "Site '$($Web.URL)' is inhering Permissions from the Parent"